Laura Ashley hails from Orange, New Jersey and at just 26 years old, is a true warrior. She battles Multiple Scleroris and is tirelessly fighting her special need with a brave heart, and a smile on her beautiful face. Multiple sclerosis is a disease that attacks the central nervous system. Symptoms can vary. In less severe cases, there may be numbness in the limbs. In more severe cases paralysis or even vision loss can occur. In spite of her challenging condition, Laura does not let anything prevent her from accomplishing her goals. She chooses to focus on what she is able to do and allows herself to stay busy and quickly dismisses any negative thoughts that may steal her joy. Laser focused on writing, Laura divides her time between writing for her books, various pieces of poetry and for her blog. 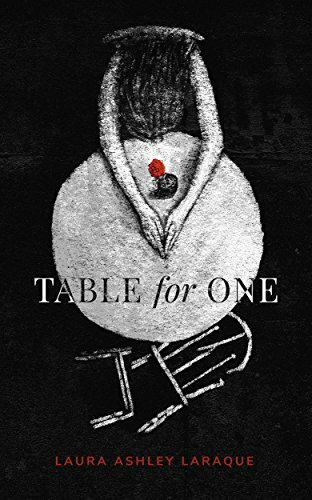 Laura's book, Table for One is available on Amazon and takes readers on a journey love, pain and hard lessons learned that led to her a course of self-discovery and eventual self-love. Her second book will be a revised edition of Table for One, called Table for Us, will focus on forgiveness and healing.